This is a great assortment of authentic battery-powered steam and diesel locomotives hauling a variety of cargo and passenger cars. Kids and train buffs alike will love the large, sturdy size of these trains as well as the realistic lights and sounds. 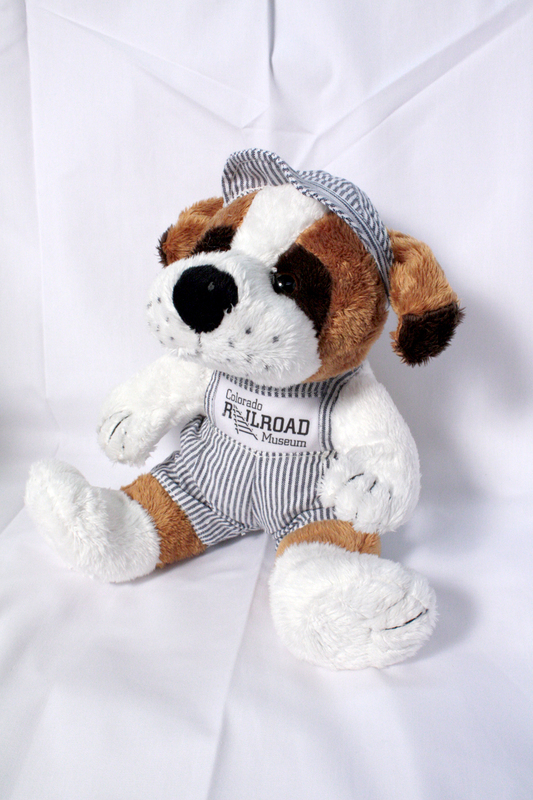 Also included are the top ten railroading fun facts on back of packaging! Boxed sets feature convenient reusable carry cases! Kids can create a wide variety of layouts and configurations with this deluxe train set that contains 25 feet of track! 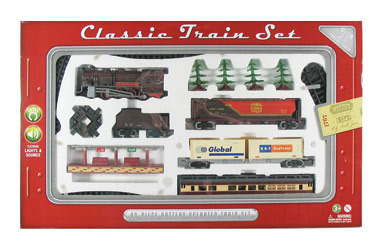 This mega-set includes a steam locomotive with lights and sounds, a passenger car, double container cars, a tanker, a train station, pine trees, 30 sections of straight, curved and “Y” track and a cross section track piece.